Eli Townend Archer was born in 1893 and the eldest son of Ossett councillor and pork butcher David H. Archer of Runtlings Grange, Ossett. Archer's mother Emma was the daughter of Eli Townend, a well-known and respected Ossett mill owner. Archer was educated at Ossett Grammar School and Silcoates School in Wakefield. He was gazetted at the Officer Training Corps at Leeds University before joining the army proper. A keen cricketer for Dewsbury and Savile Town, he was unmarried. 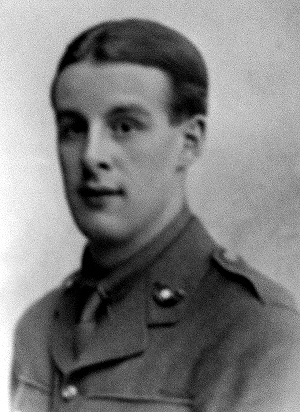 After being out in France for several months, Second-Lieutenant Archer was one of four young officers who went out with a bombing party during the Battle of the Somme on the 23rd July 1916, but went missing. The other missing officers were Second-Lieutenant Allen J. Mountain, whose father, Mr. T.H. Mountain was a bank manager in Wakefield; Second-Lieutenant J. Plews, son of the late clerk to the Wakefield city justices; and Second-Lieutenant James C. Jubb of Batley. "Sir Douglas Haigh, Commander-in-Chief of the British Armies in France, ordered the second great concentrated effort to be entered upon by the Fourth Army in the morning of the 14th July 1916 along the line from the Leipzig salient in the north to the point of junction with the French forces in the south. The high ground of the ridge to the east of the Bazentin villages and to the south-east of them, was the objective; the hold on the Leipzig salient was to be extended and Thiepval was to be threatened, but this northern end of the ridge was too strongly fortified to be carried by direct attack for the present. The 4th and 5th Battalions of KOYLI had undergone re-organisation while in huts at Martinsart Woods and they returned to the trenches on the 21st July 1916. On the 23rd July at 2:30 a.m. part of the 4/KOYLI was ordered to attack with a view to extending the position in the salient. Heavy casualties were suffered when crossing No Man's Land and the enemy were found to be in force in their lines; the attackers were too much weakened to put up a fight and were forced to withdraw, having Lt. J.C. Plews wounded and 2/Lts. A.J. Mountain, E.T. Archer and J.C. Jubb killed. The enemy bombers counter-attacked up the trenches leading to our lines, but were beaten back by the 4th Bn bombers, assisted by those of 5/KOYLI and of the 4th and 5th Bns Y & L. In addition to the officers mentioned there were 66 casualties in other ranks, of whom 6 were killed. Lt.-Col. H.J. Haslegrave was wounded the following day." It is most likely that 2nd-Lieutenant Archer died in the Battle of Pozieres Ridge, a subsidiary attack of the Somme Offensive, and launched on 23rd July 1916. The Battle of Pozieres Ridge on the Albert-Bapaume road saw the Australians and British fight hard for an area that comprised a first-rate observation post over the surrounding countryside, as well as the additional benefit of offering an alternative approach to the rear of the Thiepval defences. 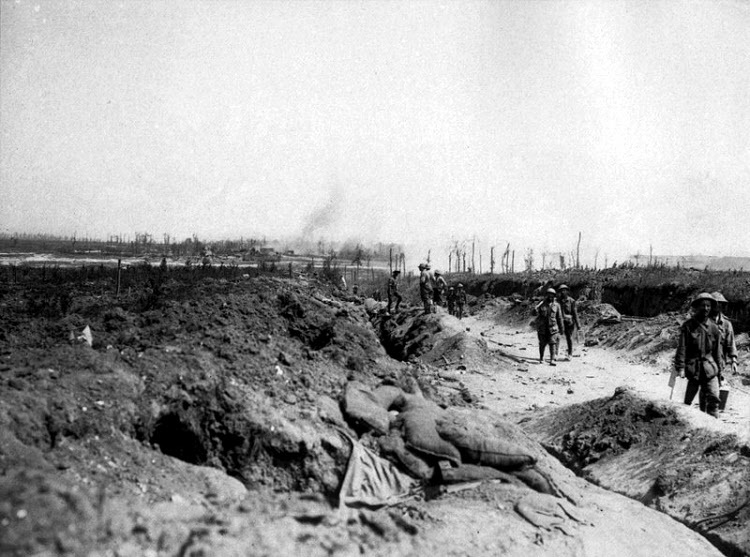 Above: The road to Pozières, 1 August 1916. The view is north towards the village of Contalmaison, which is being shelled by the Germans. 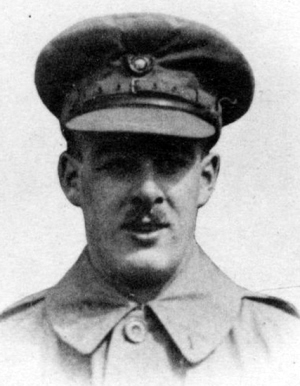 2nd-Lieutenant Eli Townend Archer died on the 23rd July 1916 at the age of 23 years and is remembered on Pier and Face 11 C and 12 A of the Thiepval Memorial,3 Somme, France. The Thiepval Memorial will be found on the D73, next to the village of Thiepval, off the main Bapaume to Albert road (D929). The Thiepval Memorial to the Missing of the Somme, bears the names of more than 72,000 officers and men of the United Kingdom and South African forces who died in the Somme sector before 20 March 1918 and have no known grave. Over 90% of those commemorated died between July and November 1916. The memorial also serves as an Anglo-French Battle Memorial in recognition of the joint nature of the 1916 offensive and a small cemetery containing equal numbers of Commonwealth and French graves lies at the foot of the memorial.